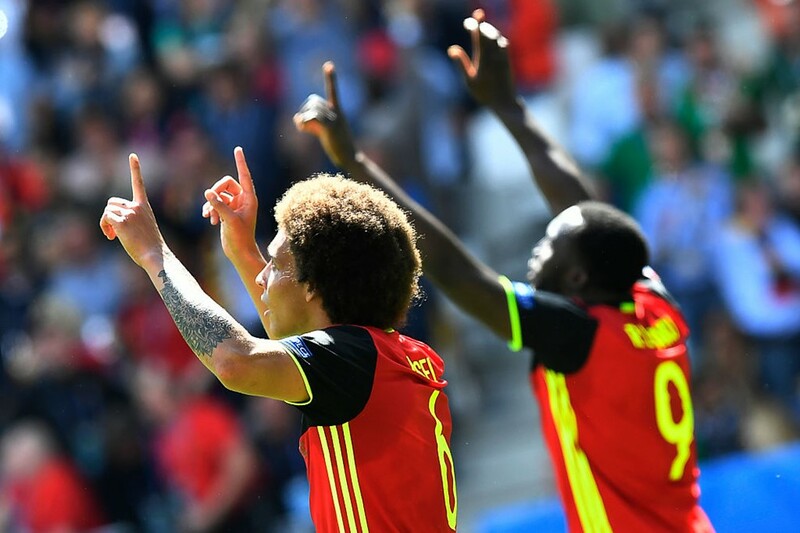 Romelu Lukaku converted two superb Belgian attacks and Axel Witsel headed past Darren Randolph to seal their first victory of the tournament. Republic of Ireland were unfairly denied a penalty early in the second half when Toby Alderweireld dangerously played a high-boot to Shane Long in the box. Kevin De Bruyne and Axel Witsel played as Belgium's main conductors and helped discover their cohesion and collectiveness as a unit. 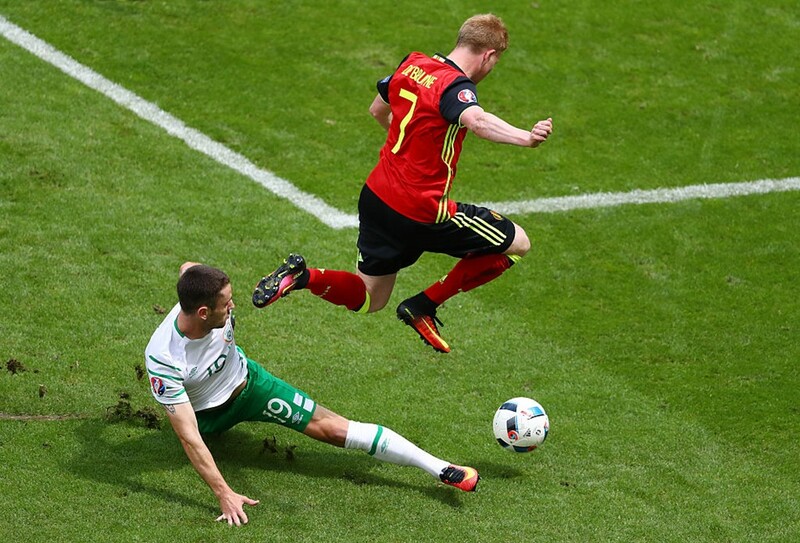 As largely expected, Belgium came flying out of the blocks and began to smother Republic of Ireland's defence. With the likes of Lukaku, De Bruyne and Hazard interchanging around the area, an early goal wouldn't have been a big outside shout but any danger from Carrasco's subsequent low cross was sniffed out by Darren Randolph. 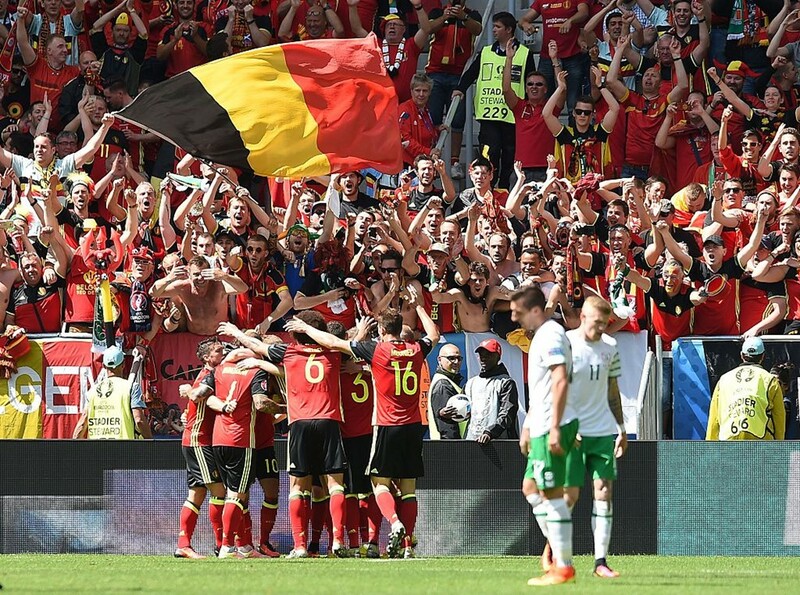 There had been severe criticism directed at Belgium and their cohesion as a team, but they started propitiously in Bordeaux and within the first ten minutes Martin O'Neil's side were confirmed a torrid afternoon - although Clark and O'Shea remained compact as a defensive partnership and rallied hard in the opening stages. Subsequent to Ward's effort on goal, Thibaut Courtois tipped Shane Long's looping effort over the bar in his first significant act before the following corner was easily snuffed out by the Belgian defence. Moments after the Rode Duivels initiated the first clear-cut chance of the game with Eden Hazard blootering Kevin De Bruyne's low cross into the stands, an ever bigger sigh of relief sounded from the Irish as Yannick Carrasco's rebounded shot pinged off the crossbar before his headed goal was then ruled offside. After brief glimpses of success up front, Republic of Ireland were again reminded of their defensive tasks. De Bruyne was running rampant and perhaps felt with all the work he was doing - which resulted in Thomas Meunier knocking a chance wide of the post - that his side should be one or two goals ahead. Given their dominance, he'd probably be right. Alex Witsel continued to pull the strings and create chances from the midfield, however with little direction and killer-instinct from Belgium, it saw The Boys In Green remain highly resolute and keep a foothold in the game. Toby Alderweireld was denied from converting Kevin De Bruyne's excellent corner with a terrific goal-line clearance from Wes Hoolahan, before another defender Thomas Vermaelen hooked a left-footed strike wide of goal. 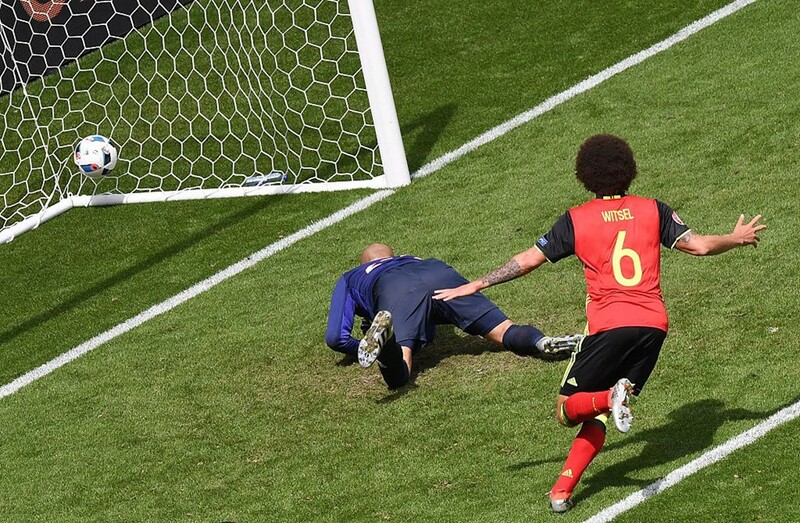 Belgium would feel demoralized, but it further emphasised their dominance on the field. Having said that, Kevin De Bruyne's outstanding movement and creativity tucked behind Romelu Lukaku outshone all efforts. Playing very much as the attacking conductor, he also fed Yannick Carrasco several opportunities in attempts to break the deadlock but no avail. 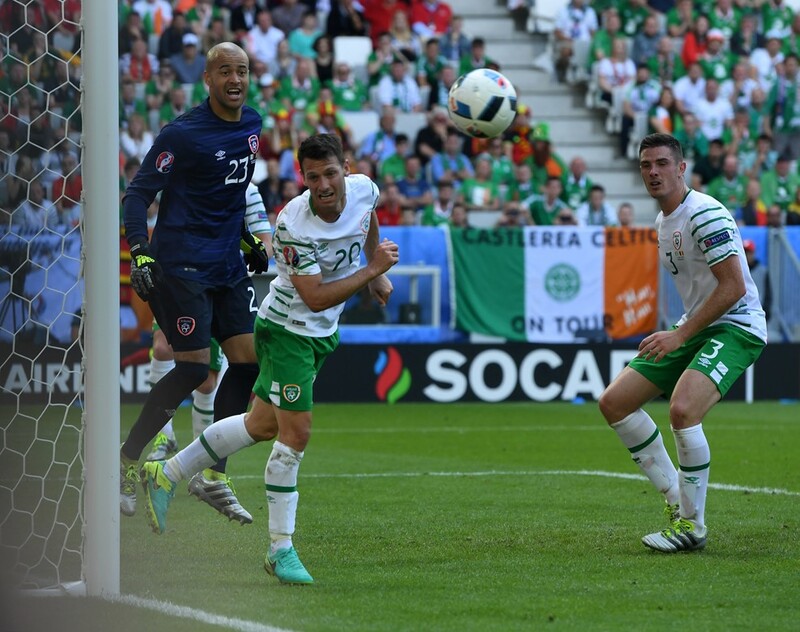 For Republic of Ireland, a half of success. Although they were dry with little substance and inventiveness up front, their solid defensive structure and perhaps even better individual moments frustrated Belgium and boosted their own hopes of obtaining a point which was probably their initial target. Constrating to the first half where Belgium started the stronger, Republic of Ireland seemed to have implemented a more attacking style of play. That, to their immense displeasure, culminated in disaster. Finally, after an entire half of probing, Marc Wilmots' men took the lead with a lightening counter attack which saw Kevin De Bruyne's romping run down the right flank carve out an assist to Romelu Lukaku who composedly slotted past Darren Randolph outside the area to truly deflate Irish hearts. Probably more deflating since Shane Long was unfairly denied a penalty following Toby Alderweireld's reckless high boot, subsequent to the Ireland striker himself nodding a chance at Thibaut Courtois. Still in the blistering heat, they wouldn't be silenced. Robbie Brady's effort was denied by Meunier, and perhaps felt annoyed as he could've tested Thibaut Courtois on the volley instead of taking a second touch. The Irish continued to probe at every opportunity, but the gulf in class became strongly apparent as Belgium doubled their lead. Perhaps more due to James McCarthy's lack of awareness to fully track Axel Witsel, the midfield creator leaped high to nod Thomas Meunier's excellent delivery past the clutches of Darren Randolph. Republic of Ireland had approached the game with more attacking substance, but they deeply regretted not testing Thibaut Courtois in every possible occasion. Already two goals down, they introduced Robbie Keane but even the popular 35-year old couldn't add an unlikely reply for the Irish. All of a sudden, Belgium discovered their inner cohesion as a collective unit. Largely gifted by Ciaran Clark's unsuccessful challenge on Eden Hazard who leaped past his clutches and into aches of space on the right, he easily cut back to Romelu Lukaku in on goal and the 24-year old completed his brace and Rode Duivels' third. Republic of Ireland, while closing the large gap in possession, struggled to create a rhythm in midfield and stem any success from it. 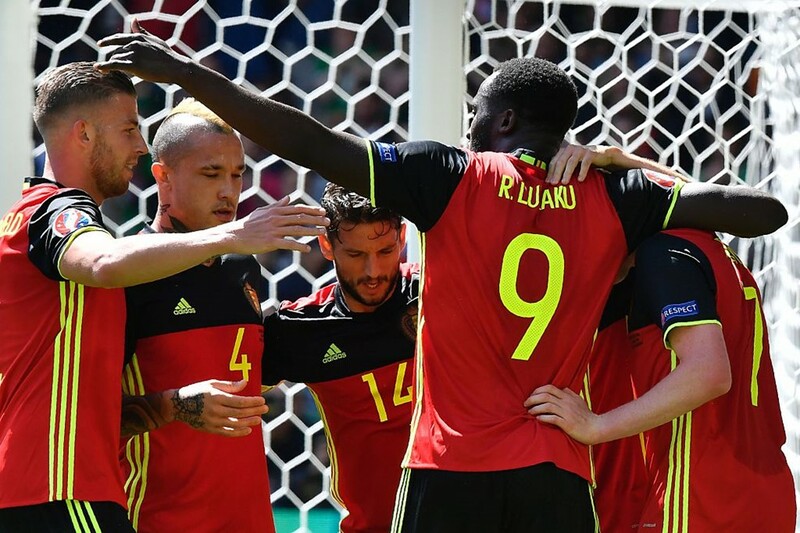 Belgium threatened to counter on a few occasions, but remained content with three goals and replaced Romelu Lukaku with Christian Benteke late on. Despite some spirited play from Robbie Brady in stoppage time, the Irish had been simply outclassed. Belgium sealed their first victory in the tournament and left Martin O'Neil and Roy Keane with a tough job against leaders Italy.